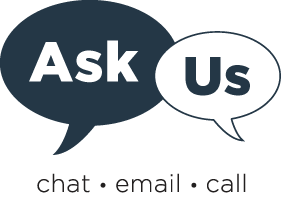 Contact us using the Ask Us form or call 817-735-2070 between 8:00 A.M. - 5:00 P.M. on weekdays. Services and resources are available to support UNTHSC faculty and staff members in their teaching, research, and patient care activities. Distance faculty describes the special services available if you teach distance education courses. Set up access to your course reserve readings using our collections and/or materials you supply to us. Evaluate copyright and securing permissions for you when needed. See course reserves for more information about these services. Retrieve literature from our collections and from those of other libraries. Deliver materials to you either online or in print. There may be a fee. See document delivery / interlibrary loan for more information about these services. Deliver instruction as part of your course curriculum either in your classroom or in the library. Teach classes on popular research tools. Individual instruction is also available upon request. See library instruction for more information about these services. Assist with the article submission process. See NIH Open Access Support for more information on these services. Faculty recommendations are welcomed for books and larger purchases such as research databases. Use the library purchase request form to submit a recommendation. Assist with searching the literature in your field. Conduct research for you and deliver citations and abstracts to meet your information need. See reference services for more information about these services. Assist with submitting your published and unpublished works to the UNTHSC Scholarly Repository. There is no charge for processing or hosting your materials. Authors get monthly usage reports on their contributions.